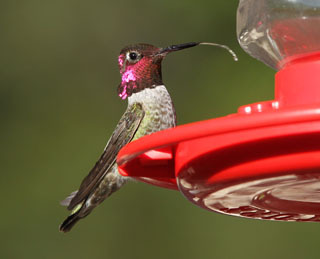 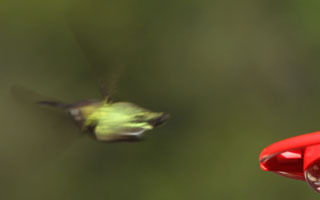 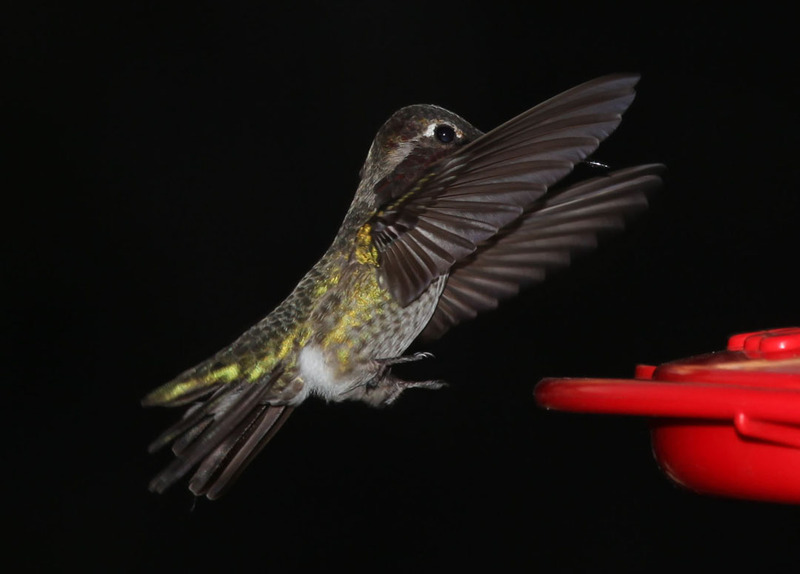 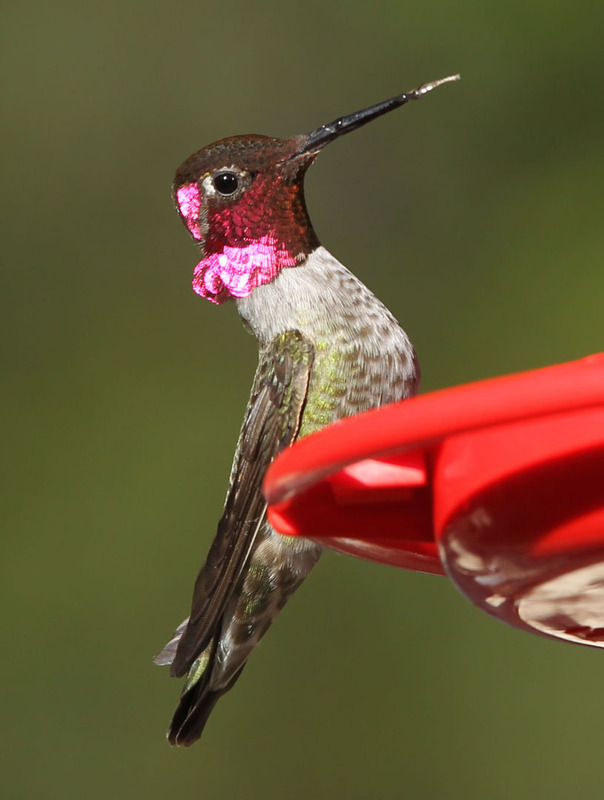 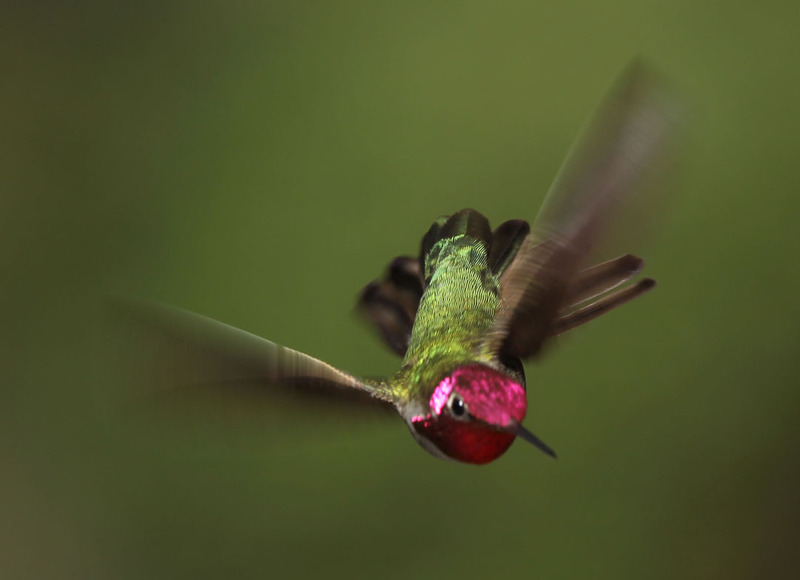 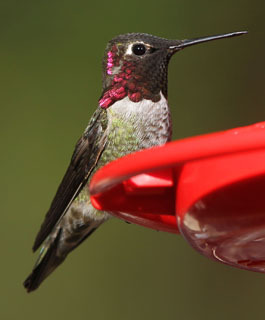 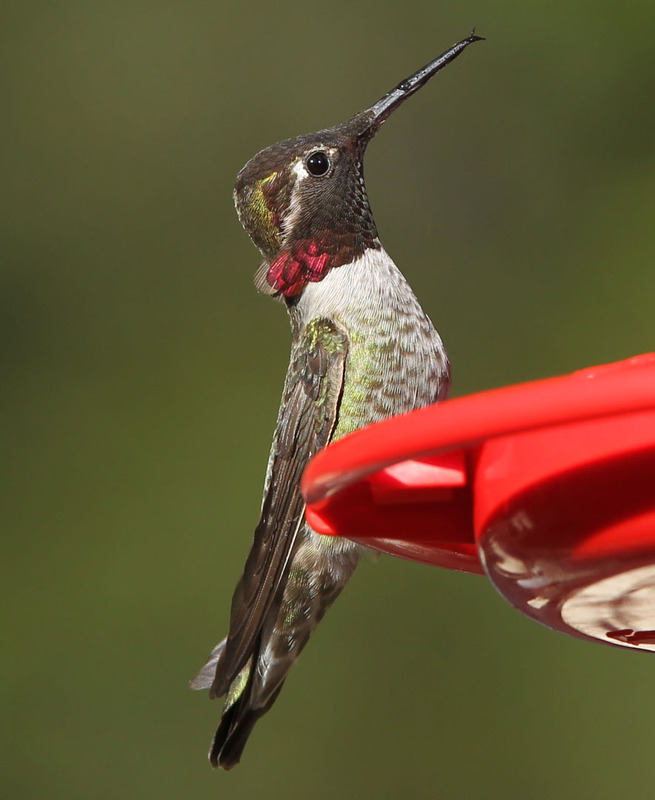 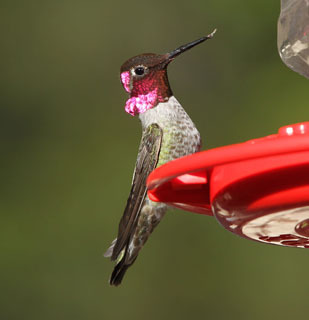 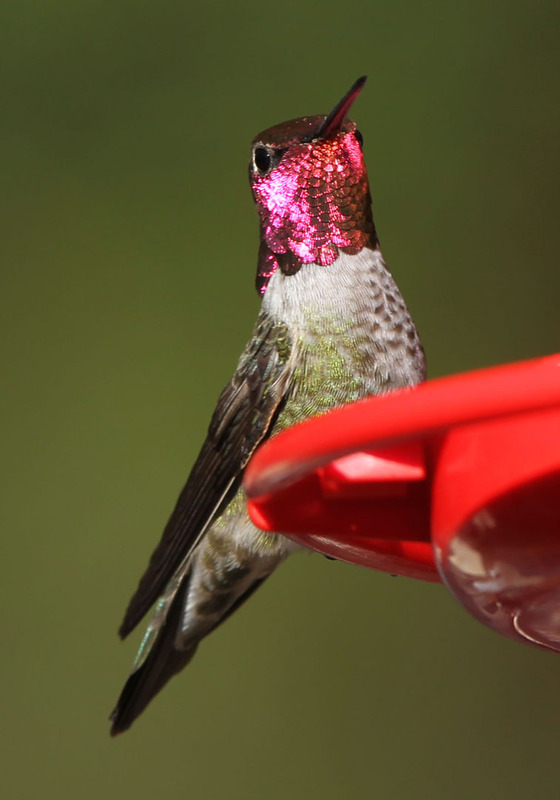 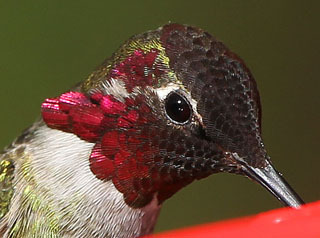 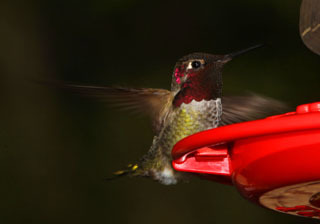 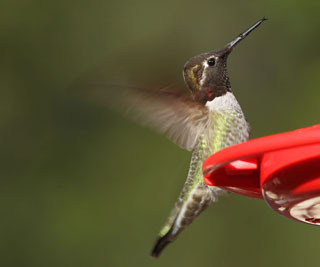 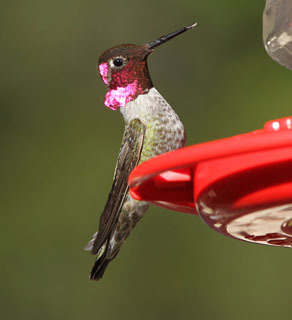 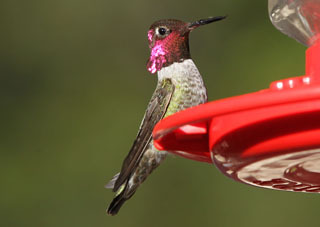 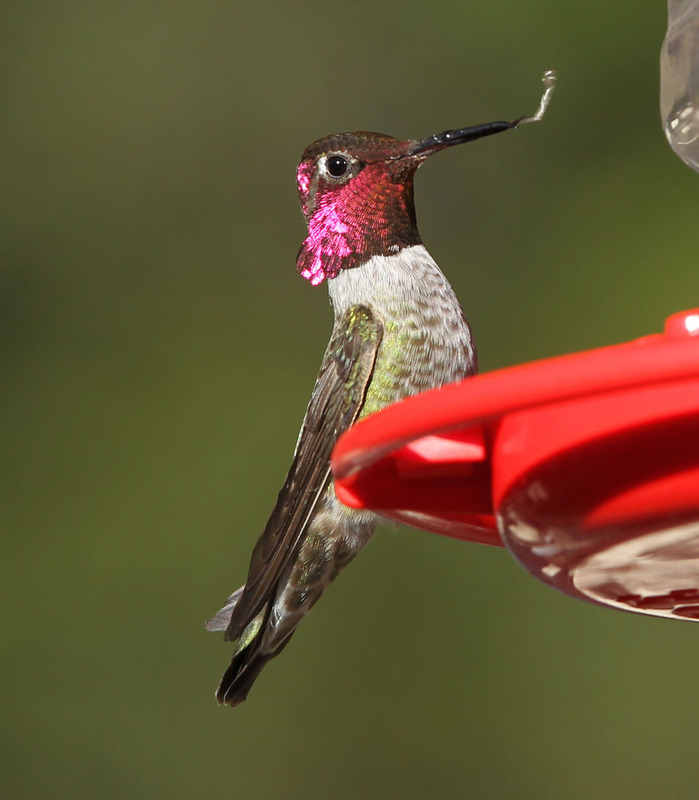 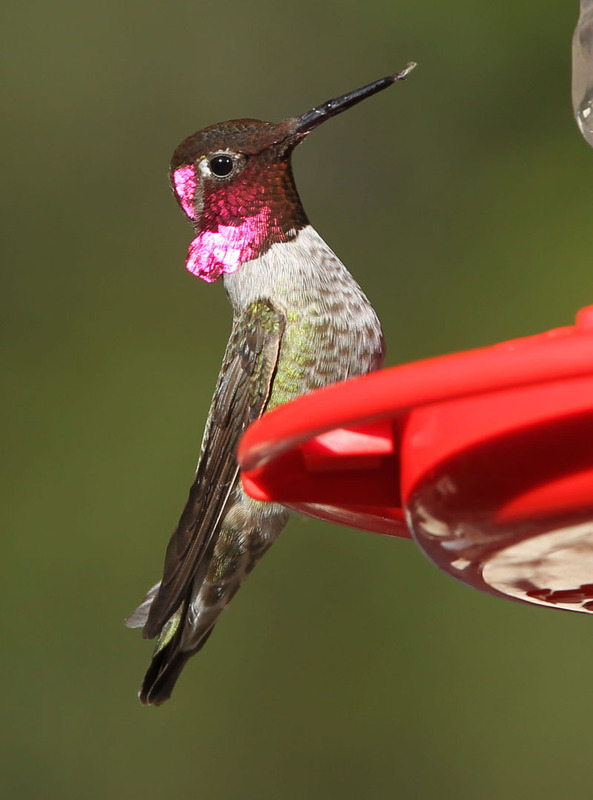 I think this is a male Anna's hummingbird (Calypte anna). These pictures link to larger ones. 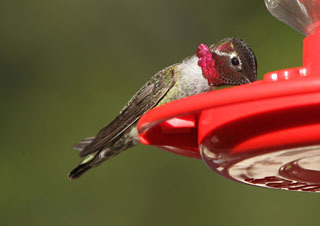 The following photos are all within one second, in which time he takes a sip, sticks his tongue out two times, and flies off.